Years ago (okay it's been decades) we took a month off and booked round trip tickets to London. From London we flew to Copenhagen to begin a tour of northern Europe. At the time it seemed Denmark was all agog for a place called LEGOLAND and I remember wondering how an entire theme park could be based on a plastic brick. I began to get the idea of just how flexible those blocks could be a few years later when a LEGO store opened in the mall near our home in Virginia and featured awesome constuctions of local landmarks and Star Wars vehicles. Now there is even a LEGOLAND in California. 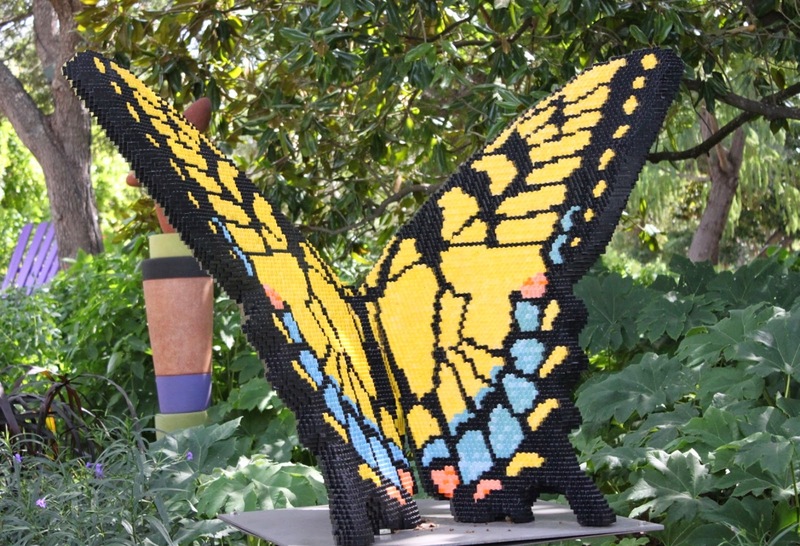 Recently I had an opportunity to see what an artist can do with LEGOS during a visit to the San Antonio Botanical Garden's display called Nature Connects: Art With LEGO Bricks featuring 27 sculptures made with almost 500,000 LEGO bricks by artist Sean Kenney. The LEGO sculptures are built on a structure of steel rods and plates for stability. 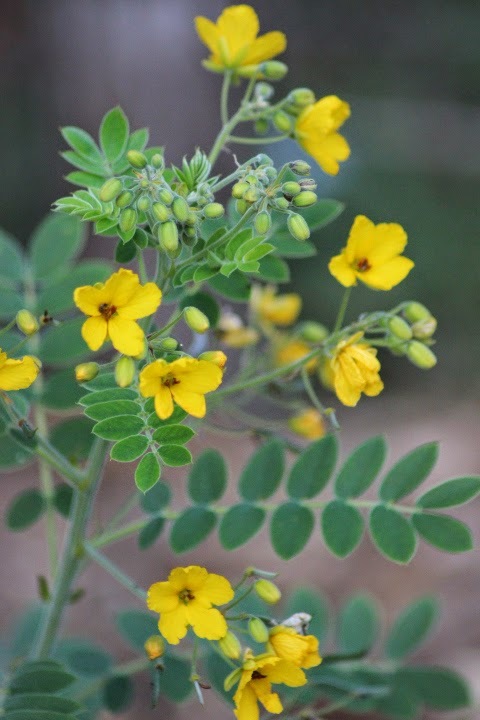 It's Wildflower Wednesday and I'm joining Gail and Clay and Limestone for a closer look at Senna lindheimeriana. The bright yellow blooms of Lindheimer Senna appear just as summer turns to fall. 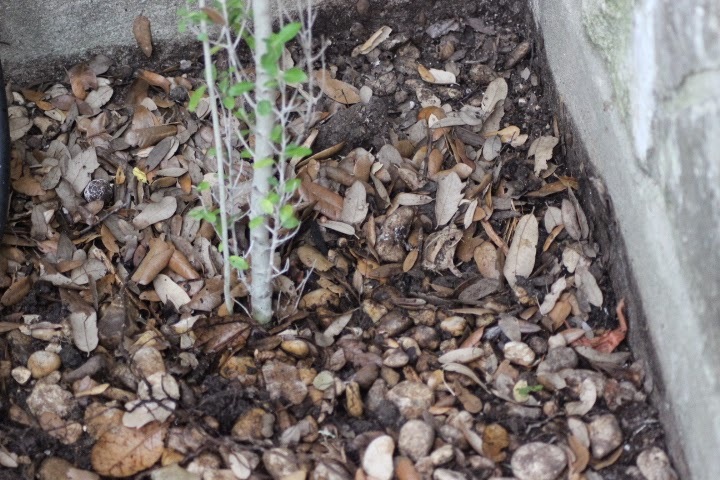 The first day of Fall is this week and, even though it's still quite warm in San Antonio, we are beginning our second gardening season of the year which typically lasts until late November. 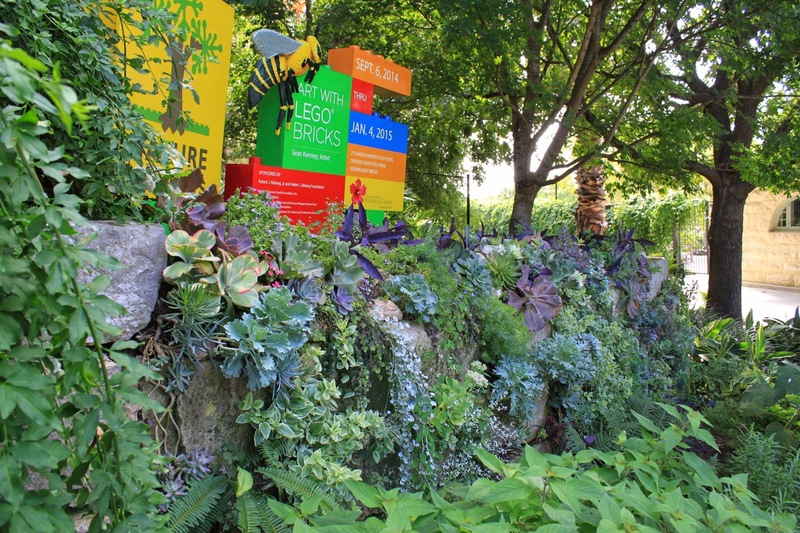 We are so fortunate have a number of active gardening groups in San Antonio sponsoring excellent events over the next few weeks to help get our gardens going. 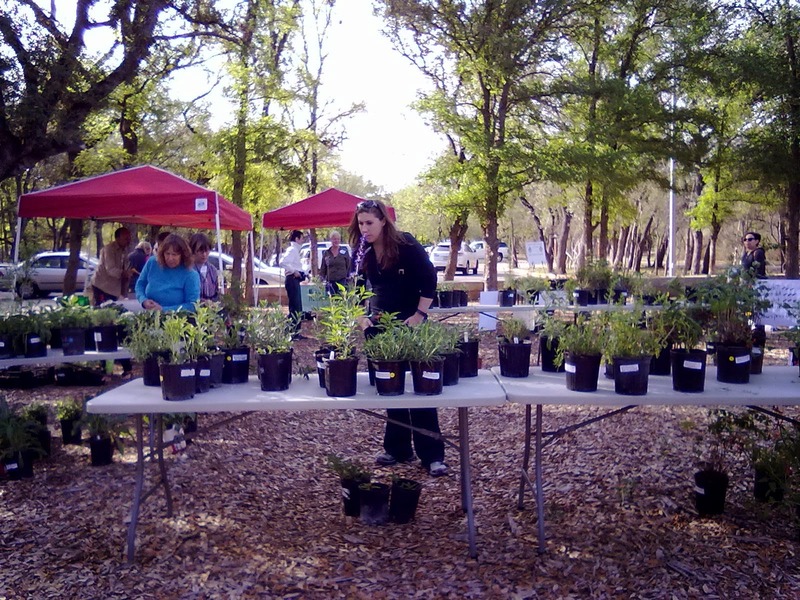 First up is the Native Plant Society of Texas - San Antonio Chapter Plant Sale held September 27th at Hardberger Park on Blanco Road. I attended this sale last spring and found an excellent selection of plants to add to my landscape. They'll also help you with native plant questions and identification. The San Antonio Botanical Garden (SABOT) is one of those places I never tire of visiting. On Monday I joined a group of local gardeners in front of this gorgeous succulent wall just inside the main entrance of SABOT. On Wednesday I had to be downtown for jury duty at the county courthouse. I had downloaded several gardening e-books ahead of time so I was set for the day. This happens every few years and it's not so bad to spend some time downtown. By now it's not a surprise to readers that San Antonio has a style all its own. Many of you probably haven't seen jury duty like this so let me take you along on my two hour lunch break with a few phone photos. 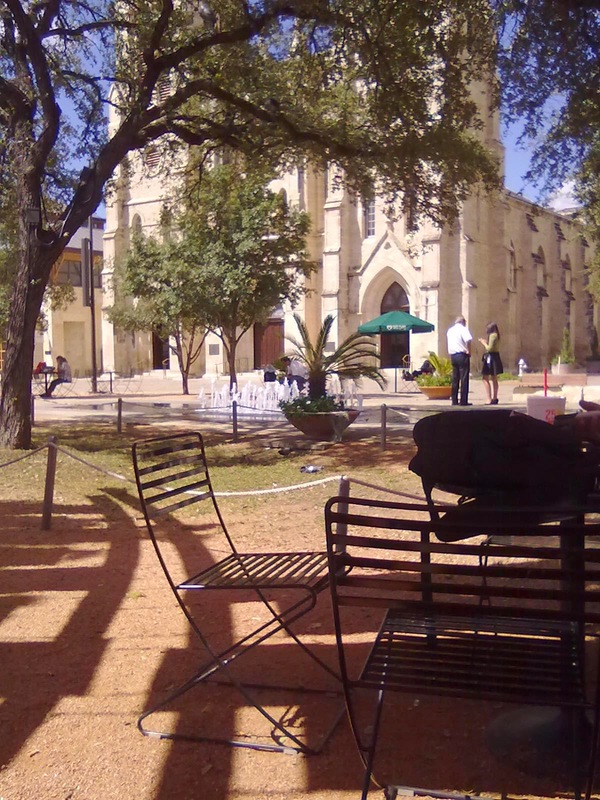 I enjoyed my lunch under a shady ramada across the street on Main Plaza with a view of San Fernando Cathedral. My favorite (new) plant in the garden this week...Asiatic Jasmine! It's that plant we love to hate, except this one was too pretty to pass up so I'm joining Loree at Danger Garden to feature Trachelospermum asiaticum 'HOSNS' as my favorite plant....this week. 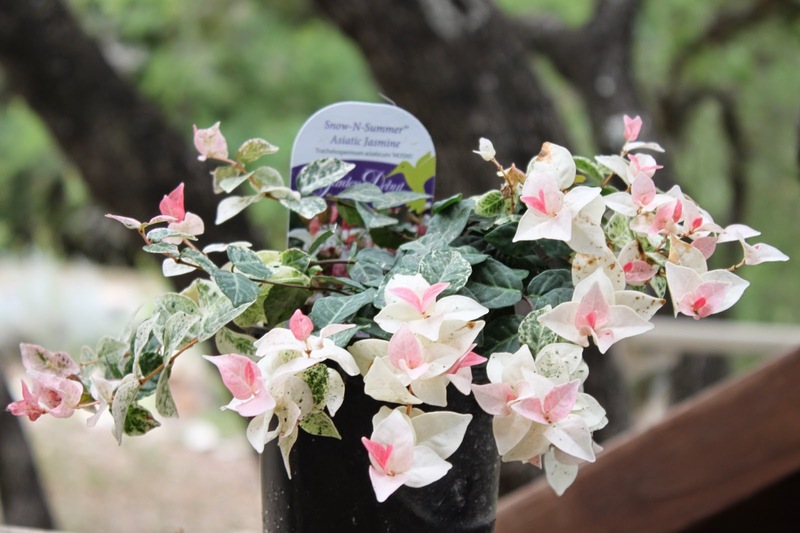 This week I stopped by Shades of Green nursery in San Antonio where my friend Pat recommended I take a look at newly arrived Asiatic Jasmine Snow-N-Summer (Trachelospermum asiaticum 'HOSNS'). At first I hesitated--Asiatic Jasmine? I took a look anyway and bought it even though I have no idea where it will go yet. Here's my latest impulse purchase fresh out of the car and already brightening up the view from the kitchen. According to my research, Asiatic Jasmine does well in pots--not something I would have thought of before acquiring this one. This month's Wildlife Wednesday brings updates on wildlife sightings in the garden. I'm joining Tina at My Gardener Says.. for a Wildlife Wednesday look at the activity in my garden. Can you spot the wildlife in this photo?